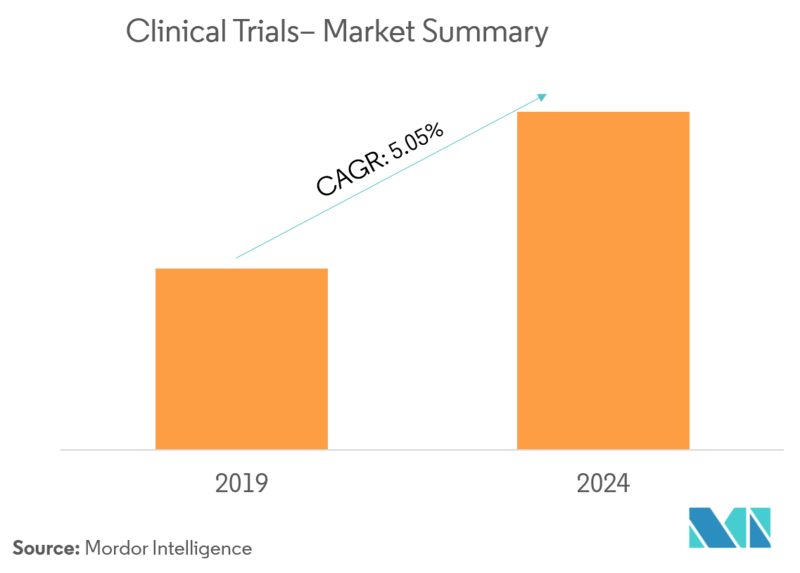 The major factors found propelling the growth of the market include the high demand for clinical trials in emerging markets, high R&D spending of the pharmaceutical industry, an increasing prevalence of diseases, and the focus on rare diseases and multiple orphan drugs in the pipeline. The market is growing at a robust pace, owing to the advancements in healthcare and growing patented new chemical entities (NCE) indicated for various health conditions. It has also been found that there are a large number of unmet clinical needs in emerging countries, due to the prevalence of infectious and tropical diseases in the region. Owing to these, a large number of the population participate in clinical trials to access high-quality healthcare free of cost. India and China have the highest prevalence rates for metabolic disorders, due to the increasing population, combined with the prevalence of insulin resistance, hyperlipidemia, and obesity. 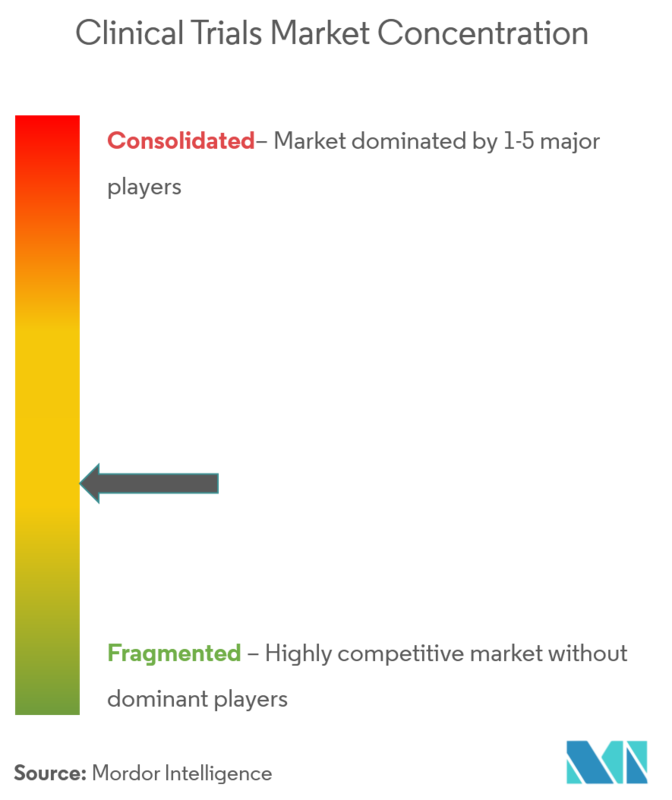 In addition, government initiatives have also motivated the small, medium, and large players to enter into orphan drug development. Thus, there are multiple drugs in the pipeline. As a result, Novartis, GlaxoSmithKline, and Pfizer (among others) have entered this field. It has also been found that the clinical trials market has taken bigger strides in the developing countries of Asia-Pacific and the Middle East and there is still very less development in the market. As per the scope of the report, clinical trials are experiments that are conducted under clinical research and follow a regulated protocol. These experiments are primarily performed to obtain data regarding the safety and efficacy of newly developed drugs. Clinical trial data is mandatory for drug approval, as well as for it to be introduced in the market. These trials are performed under three phases (I, II, and III), which depends upon various factors. This process is not only expensive, but also time consuming, and requires expertise at all stages. The market is expected to be dominated by Phase III, with Phase I expected to witness the fastest growth. Phase III is one of the most critical phases assessing the effectiveness of the new intervention, as well as its value in clinical practice. 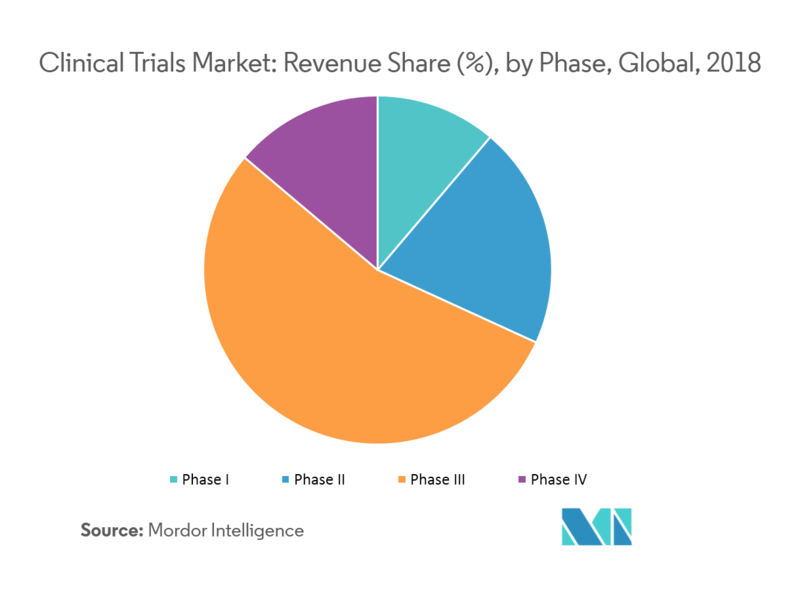 The Phase I trial in the market studied is also expected to grow at a steady rate, due to the increasing number of investigative new drug (IND) applications filed. The government initiatives in emerging economies for the promotion of drug discovery and continuous technological innovations are expected to propel the market growth. North America dominated the overall market, owing to the presence of big outsourcing firms and increasing R&D in the region. However, increasing R&D investments and an increasing demand for drug development are the major factors responsible for the market emergence in the United States. The major pharmaceutical companies are found making enormous investments in R&D, especially in the emerging nations, in order to gain opportunities for market growth in the major regions. The strategic partnerships among pharmaceutical companies and the CROs are expected to have a significant impact on the market's growth.